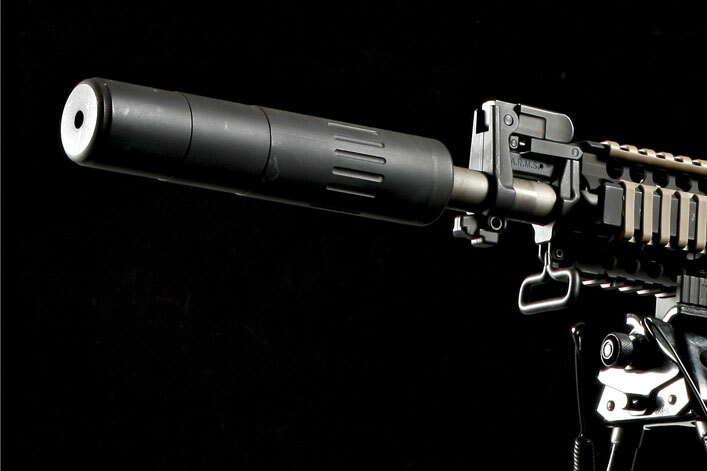 Gun Trust Lawyer® has arranged for a dealer to offer a $215 discount on the AAC M4-2000 Suppressor to our clients. If you have any of our trusts that contain the Gun Trust Lawyer® Copyright notices you are eligible to purchase this suppressor at a price that is $215 less than retail. 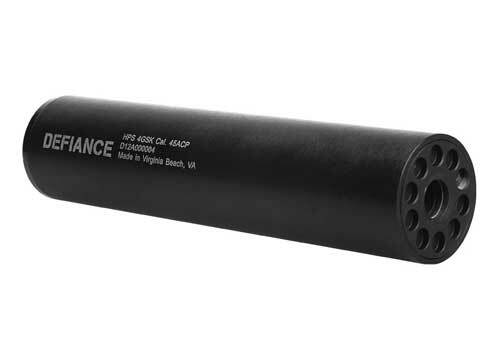 This is what AAC says about this 556 suppressor. The worlds most effective 5.56mm silencer just got better. AAC’s new M4-2000 Mod 08 features the patent pending fast-attach Ratchet-Mount to provide precision accuracy with minimal and repeatable zero-shift. Users have the ability to install or remove the silencer from the Blackout™ flash hider/muzzle brake, or the BRAKEOUT compensator, in seconds. The compact size and light weight have minimal affect on maneuverability. The M4-2000 Mod 08s extreme durability is maximized by CNC automated fusion welding of every high-temperature aerospace alloy component used in its construction- making 100% suppressed full-auto fire possible on barrels as short as 10 inches. The back-pressure lowering design of the silencer aids in shooter comfort, reduces weapon fouling, and minimizes cyclic rate increase. As a final step, tapered-bore EDM technology is utilized to ensure precise bore alignment resulting in enhanced accuracy and maximum performance. By eliminating approximately 97% of the muzzle report, the M4-2000 Mod 08 preserves the hearing of the shooter and nearby support personnel. Eliminating muzzle flash in the harshest of environments. House File 284 was recently introduced to lift the ban on owning or using a silencer or suppressor. Iowa is one of only eleven (11) states that ban the device for some individuals. The bill sponsor has stated that a suppressor is a usefull tool for preventing hearing damage. Currently the use of a suppressor in Iowa is a Class D felony. Lets hope Iowa changes this law and permits suppressors. If you have an Iowa Gun Trust and the law changes you will be permitted to purchase suppressors within the state. There are still many benefits for an Iowa Gun Trust or gun trust even if you do not own Title II firearms like suppressors. For more information on how a Gun Trust can help you please request our information by filling out the form on this page. Hawaii (HI) What NFA Firearms can I own? There are several type of Title II firearms which are sold by Class 3 SOT FFLs that are restricted by the National Firearms Act. Each state can impose additional restrictions on the sale, purchase, and transfer of these Title II firearms in addition to the compliance that is required with the National Firearms Act. Individuals cannot own any NFA firearms which are kept within HI. What States are Silencers Legal in? We are often asked are silencers legal in my state? While you can look at which NFA firearms are legal in each state by selecting it in the pull down menu on the right, we have put together this list to make it easy for you to know if they are legal in your state. North Carolina will become the next state to legalize hunting with a suppressor. As of 10/1/2013, a suppressor will be legal to use on firearms while hunting. The NC Wildlife Resource Commission made the changes which are not found in the NC statutes and also not found in the in the NC Hunting Regulations which were printed before the legislation passed. Here is a link to the legislation as well as the press release. If you plan on hunting in NC after October 1, 2013, I would suggest keeping a copy of the legislation and press release with you as many police officers may not know that it will be legal to hunt with a suppressor after 10/1/2013. Every time a state legalizes hunting with a suppressor, the sales of suppressors in that state dramatically increase which creates a longer approval wait time. Given that current approval times in most states is more than 6 months. it would be advisable to purchase your silencer now if you have any plans on hunting with a silencer in 2014. Remember that if you use a Gun Trust, you do not have to obtain your local sheriff’s permission to purchase a silencer as well as creating the flexibility to have multiple authorized users. There are many things that are different with Title II firearms (like suppressors) and it would be a good idea to request our free report on What is a Gun Trust and Why you might need one. While in some states, it is illegal to hunt with a Silencer, in the following states it is legal to hunt with a suppressor (often referred to as a “silencer”). In states where hunting with suppressors have been legalized, we have seen substantial increases in the sales of suppressors and the wait times for approval from the ATF have also increased. Many states that have legalized suppressors still have CLEOs who refuse to sign for individuals to purchase them. An NFA Gun Trust or a more flexible Gun trust can not only avoid the CLEO signature requirement in most states, but can also provide many benefits to firearms owners and their families. To learn about the benefits, please fill out the contact us form at the top of this page and request information on what a gun trust is and how they may benefit you. Remember these laws change frequently, so please verify this with your state prior to hunting with a suppressor. While in most states, it is illegal to hunt with a Silencer, in the following states it is legal to hunt with a silencer. Remember these laws change frequently, so please verify this with your state prior to hunting with a silencer. I saw this several years ago at the SHOT Show and it looked very interesting. It looks like Defiance setup manufacturing in the US to be able to sell the silencer in the United States. Nyon, Switzerland (July 2012) – DEFIANCE®, a manufacturer of optimized accessories for operators and professionals, announce the release of the first DEFIANCE® Suppressor designed for the use with the KRISS® Vector family of firearms and is compatible with all KRISS® SMG, SBR and SDP firearms (supports M16x1 LH threaded .45 ACP models). The DEFIANCE® HPS 4GSK Cal. 45 ACP incorporates an internal baffle system consisting of two steel and three aluminum baffles strategically stacked to minimize sound and maximize suppressor service life. 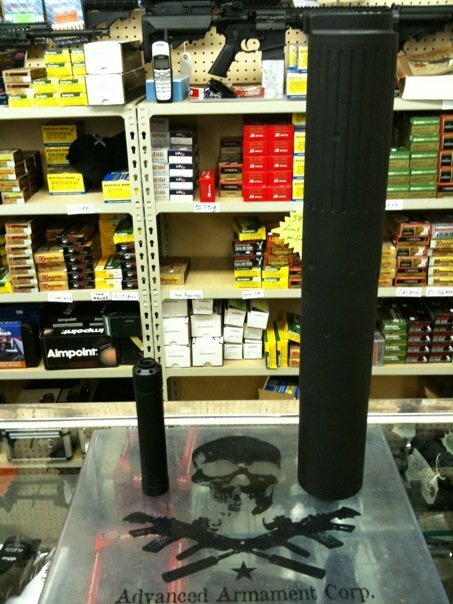 We often get questions dealing with the purchase of silencers in other states. You or a co-trustee must be a resident of the state in which you want to purchase the silencer. For example if you are a resident of a state that does not permit the ownership of silencers like New York, California, or New Jersey it is possible to purchase silencers in other states where they are legal. Unfortunately if you are a resident of a state where they are not legal will not be able to complete the transaction. If you have a co-trustee who is a resident of a state where they are legal the silencer can be purchased in that state by that co-trustee. While it is permissible to add co-trustees in other states there should be a legitimate reason to add them and they should not be added to facilitate the purchase as this would be considered a straw purchase and would be illegal. Often people add adult relatives or friend who they will be shooting with, or who they want to have access to the firearms to a trust as a co-trustee. This would be a legitimate reason to add someone and would not create a straw purchase issue. On the other hand if you were to add someone to the trust simply to allow you to make the purchase, it could be considered a straw purchase.